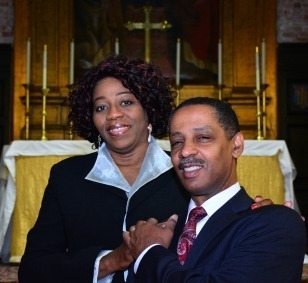 Ronald and Kathleen Verna are a missional team in apostolic, prophetic, and pastoral ministry. The Vernas have been married for over 25 years and have one son, Kenan. They are affiliated with the Northeast Christian Fellowship, a regional and interdenominational network of churches in New England formed for reconciliation and revival; and Christ Covenant Coalition, a regional apostolic fellowship transforming church and culture. ​Pastor Ronald Verna is committed to vision-casting, leading, preaching and teaching, Pastor Ron, leads with a passion to see the Body of Christ grow and mature. His teachings focus on equipping the whole person in a vibrant living out of their faith. Trained in engineering, Pastor Ronald uses a systematic and practical approach to communicating theological understanding and unlocking the mysteries of Scripture. His servant-leadership style is marked by compassionate care for all people. Ronald is especially committed to reconcilation and justice ministries and has several involvements in his local community, including being a board member for the Dudley Street Neighborhood Initiative. Pastor Kathleen Verna is a fourth generational minister and prolific preacher and teacher. As co-founder of PureSpring Global Commission and PureSpring Institute, Pastor Kathleen mentors leaders from the basics to a high level of kingdom competency through many learning initiatives, including: the School of Prophetic Leadership, the School of Apostolic Leadership, with several ambassadorial projects developing in Trinidad, South Africa, Zimbabwe, Central Africa, and England. Gifted in music and worship, Kathleen is a powerful singer, prolific songwriter, recording artist and an early vanguard of 'prophetic music' to the New England region.